Specially designed to provide high cleaning performance, the stencil is immersed in the upright position and submitted to the superior cleaning performance of perpendicular ultrasound and is perfectly cleaned in just a few minutes. The in-line filtration removes continuously the soil loading and keeps the cleaning medium at high quality levels. The use of an aqueous product (no flash-point, low VOC content) that makes it possible to separate the residues, ensures a 100% closed loop cleaning process to meet today’s economic and environmental demands. 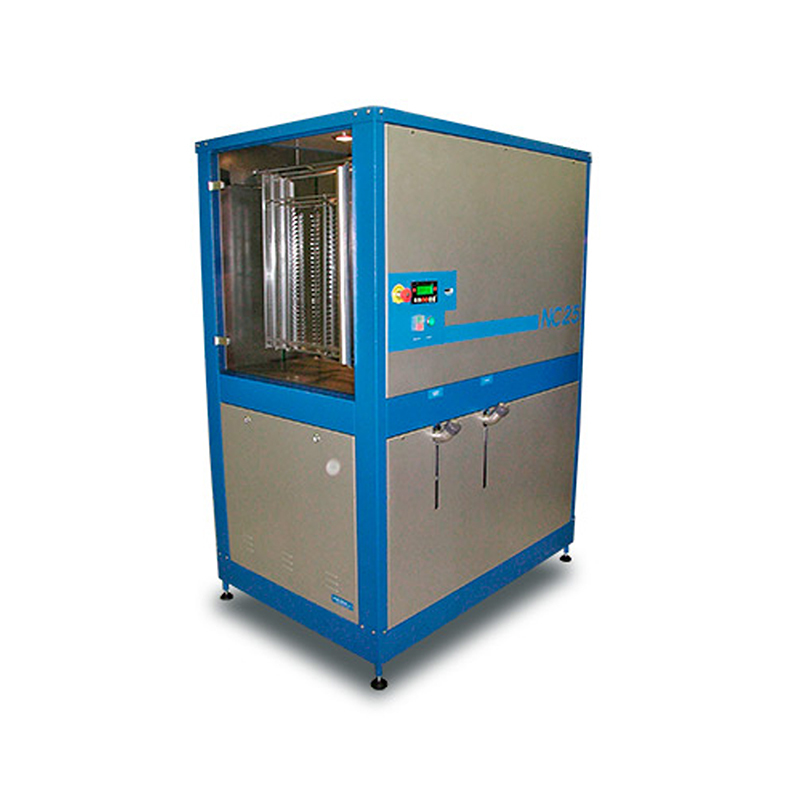 Specially designed around a patented filtration system providing high cleaning performance, PCBs are first immersed in a washing tank where they undergo the combine action of a vertical shaking and a turbulent bubbly air flow that allows reaching a high efficiency level. Boards are then transferred in 2 stages of DI Water rinsing and are finally dried during a unique process combining forced convection and vacuum. The use of an aqueous product (No flash point, low VOC content) that makes it possible to separate the residues, ensures a 100% closed loop cleaning process to meet today’s economic and environmental demands. Nevertheless, this equipment has been qualified to use semi water based cleaner for specific applications. Specially designed to provide high cleaning performance, the parts are placed onto a basket, and submitted to the superior cleaning performance of high pressure sprayer. They are perfectly cleaned in just a few minutes. The use of an aqueous product (no flash-point, low VOC content), ensures a 100% closed loop cleaning process to meet today’s economic and environmental demands.